Having healthy glowing skin is a quality I think many of us try to achieve. I feel a lot more confident when my skin is hydrated and looking bright rather than dull and dry. I use various different skin products and alternate every few weeks so my skin doesn’t grow accustomed to just one particular product. Petunia Skincare contacted me to do a review on some of their products. I’m usually pretty hesitant when it comes to product reviews unless it’s with a company that I would truly purchase from. 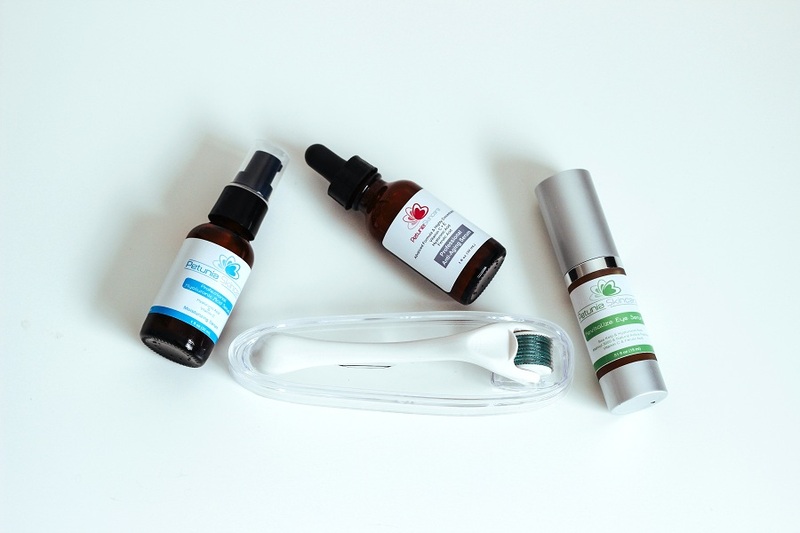 Petunia Skincare’s products are made from all natural ingredients and are reasonably priced, definitely something up my alley. Petunia Skincare’s goal is to provide superior products that work and show results through using only the best ingredients. Petunia Skincare only uses safe natural ingredients and don’t test or use any animals in their products. Prior to using any skin care product it is vital to remember to exfoliate your skin. Exfoliating the skin will get rid of any dead cells which may form a layer that blocks the serum from penetrating deeper into your skin. I used Lancome EXFOLIANCE RADIANCE Clarifying Exfoliating gel prior to using my Petunia Skincare Products. 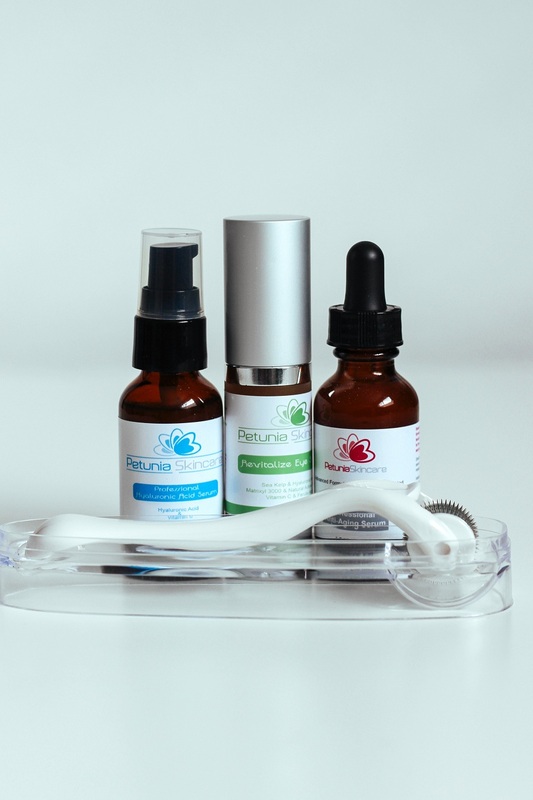 Today I will be reviewing the 1.00MM 540 Needles Derma Roller, the Vitamin C Serum, the Hyaluronic Acid Serum, and the Revitalize Eye Serum. Following my review, there will be a fun giveaway so don't forget to enter. 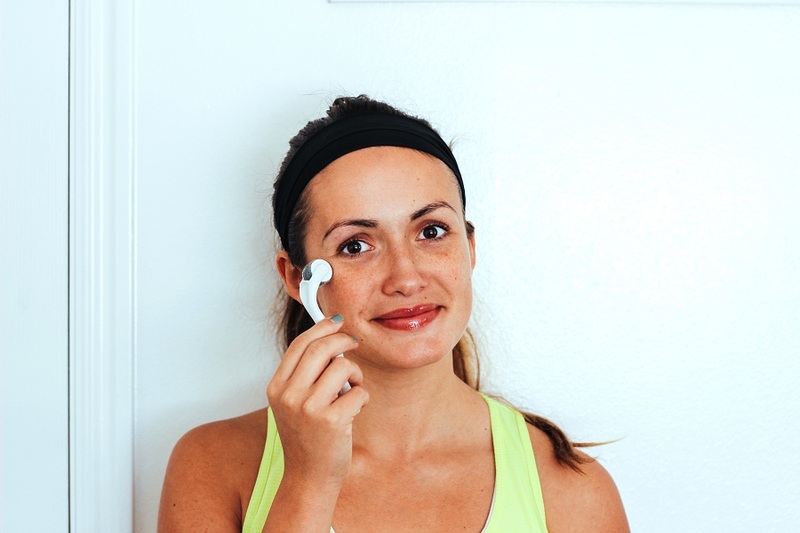 I can’t say enough great things about this derma roller; it has made such a difference in the appearance of my skin. Derma rolling creates multi micro-channels in the skin, allowing products to penetrate the skin at a deeper application than just surface application. Regardless of what products you are currently using I highly advice getting one of these to make the most of your money. Why would you just want to put products you are buying on the first layer of your skin? It isn’t recommended to derma roll every day , I derma rolled right before bed twice a week before using my other Petunia Products. At first, I was very scared to derma roll since I have a big fear of needles but after doing it a couple of times I really got the hang of it. My skin is very sensitive and it caused my skin to turn pink for 15-20 minutes after rolling. However, I’ve noticed that my skin is much clearer, bright, and blemish free. You can derma roll any part of your body. I’m really curious to try it on my arms since I have a minor case of keratosis pilaris on my arms. I’m thinking I will buy a good body exfoliant and lotion for dry skin prior to testing it out with before and after photos included to show you guys my results. I can’t imagine not using this now that I own one and for $15.97 for this handy little device is a steal. 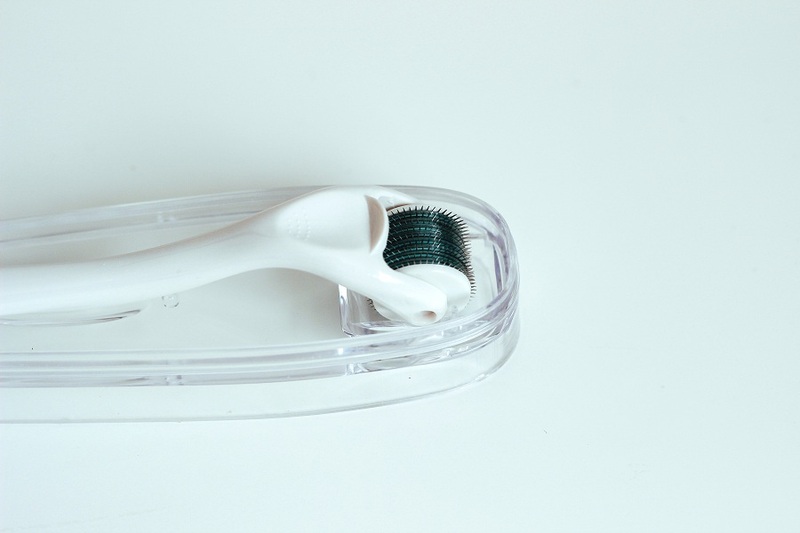 Read more about 1.00mm 540 Needle Derma Roller here! I have very dry skin and living in Utah doesn't help. I moisturize my skin daily but this Hyaluronic Acid Serum helps my skin absorb more water and instantly tightens my skin. I know the term acid may sound a bit scary but think of it like a big sponge that helps your skin absorb more water, this product is amazing. You need very little serum to feel the affects, I used that tiny drop above on my entire face. This serum drys very fast and isn't the least bit sticky which I loved. I'm pretty young and don't have very many wrinkles or crow's feet around my eyes but I feel that taking care of your skin while you are young will make a significant difference in the long run. My skin feels a lot tighter and smoother and my skin tone looks more even and vibrant. 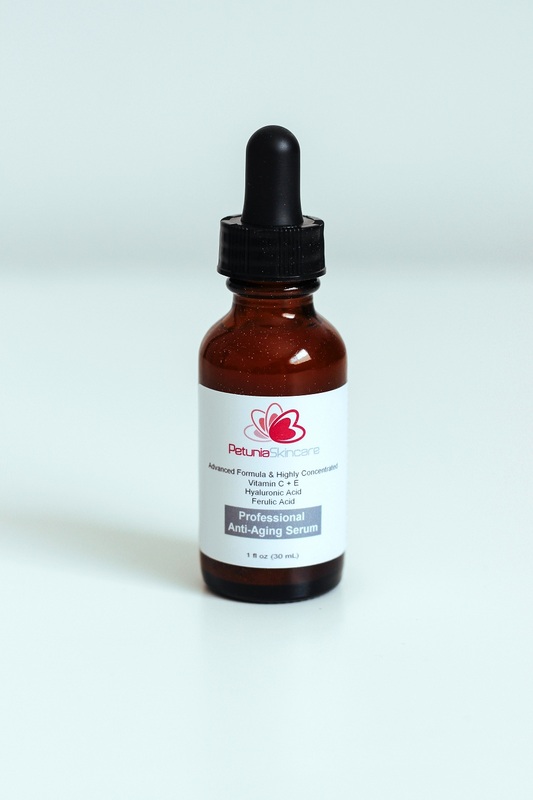 Read more about Hyaluronic Acid Serum here! I used this Vitamin C Serum as my facial sunscreen while out camping this last month. I would apply it with the rest of my Petunia Skincare Regime and my skin would feel so clear and fresh in the morning and ready to take on the day. According to Petunia Skincare's website, the serum helps protect skin from environmental damages, such as free radical damage and UVA/UVB rays, and gives skin a brighter and more youthful appearance. A little goes a long way with this product and this serum drys just as fast as the Hyaluronic Acid serum which is awesome. 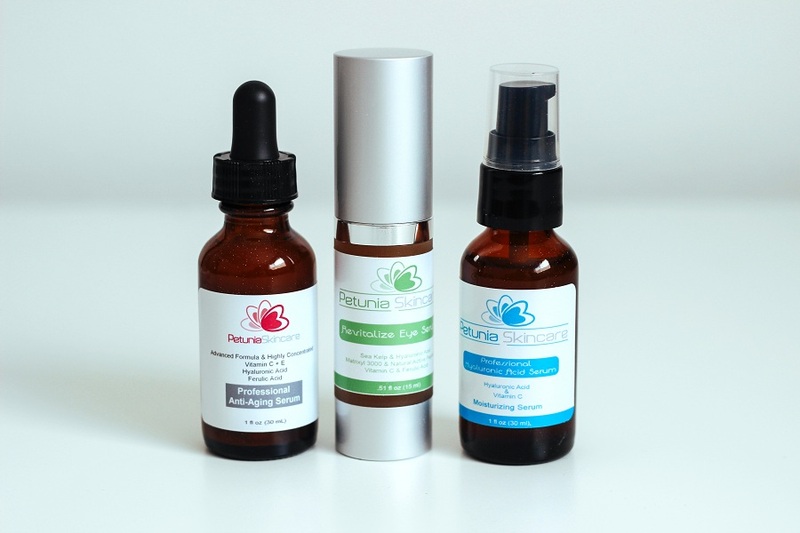 Read more about Vitamin C Serum here! Thie eye serum is half of the price of my regular eye cream. I feel like I honestly need a little bit longer than 2 weeks to give an honest review on which is better however this product worked great. This product is a lot stronger than my regular eye cream and the amount I put in my hand above was way more than I needed! Overall, I was very impressed with this serum since it's half of the price of my regular and I couldn't tell which is better. 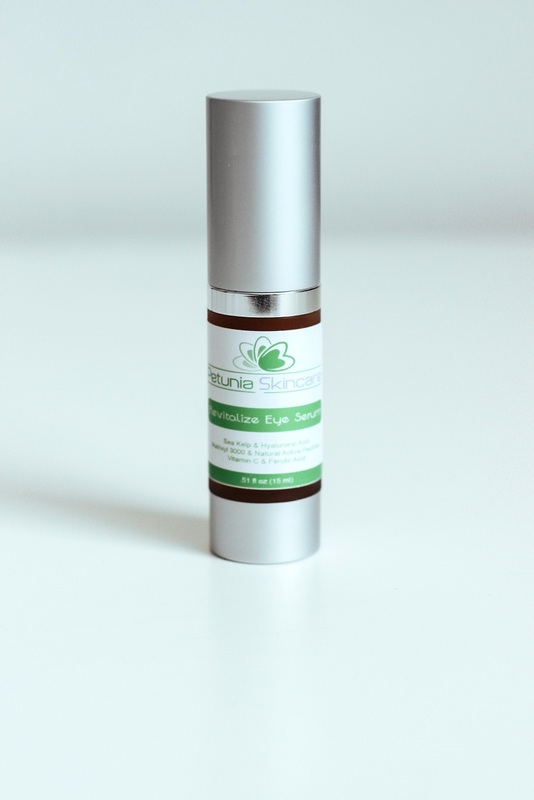 Read more about Revitalize Eye Serum here! After applying the serums I used my usual moisturizer (Lancome BIENFAIT AQUA VITAL Moisturizer Cream) to help seal the hydration and antioxidant benefits Petunia Skincare serums offer. I'm hoping that Petunia Skincare releases their own moisturizer sometime in the near future so that I can try that and rotate it into my routine! Overall I'm very pleased with my Petunia Skincare products and look forward to rotating them into my nightly facial routine. I definitely will continue to use my derma roller with ALL of my skin care products now so I get the most bang for my buck. Petunia Skincare is offering Dearest Lou readers 25% off your entire purchase at petuniaskincare.com with discount code: CECIL25% (cannot be combined with any other offer). Petunia Skincare is generously giving away a 1.00mm 540 Needles Derma Roller AND Vitamin C Serum to one lucky Dearest Lou reader. Simply enter by filling out the rafflecopter widget below. Contest is open to US readers thru September 11th at 11:59PM EST. Thanks friends and good luck! I can't live without my Clay Masks, my face needs it at least once per week. I am going to be so sad when I run out of Kiehl's Midnight Recovery Serum, it makes me skin feel so amazing! I can not live without face scrub!! water. so i need this. Instead of using chemical based products we should switch to Herbal and Ayurveda products. They are chemical free, 100% vegetarian and preservative free and have many more advantages without any side effects. Right now I can't live without my Peter Thomas Roth antiaging cleanser or Neutrogena acne clearing astringent. I would kill to have that roller! I also love my ROC retinol products but they dont' seem to do too much sometimes. maybe if I used them with that roller it wouldbe so much better! I had never even heard of that til now! Thanks! Eye cream, loving Air Repair right now. I don't use very many skin care products besides moisturizer so I would love to win this! My Clarisonic is a must have, in addition to Mario Bedescu Drying Lotion for occasional blemishes! I'm currently using Mary Kay night serum and love it!